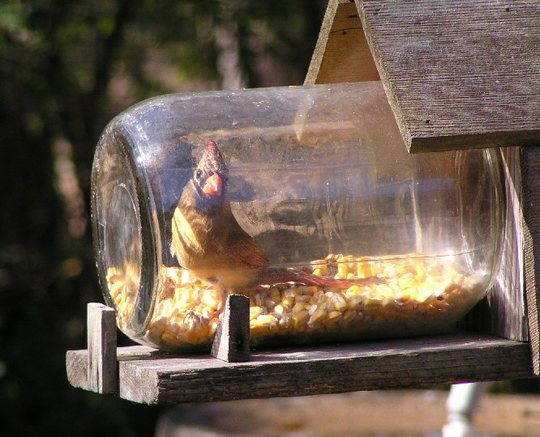 This cardinal was after the corn in my squirrel feeder and couldn't find his way out. I had to literally "pour" him out. I've had this happen several times over the years. They get a little frantic sometimes, but they are all released without any harm. They actually don't get to excited about being trapped until you walk up to release them.